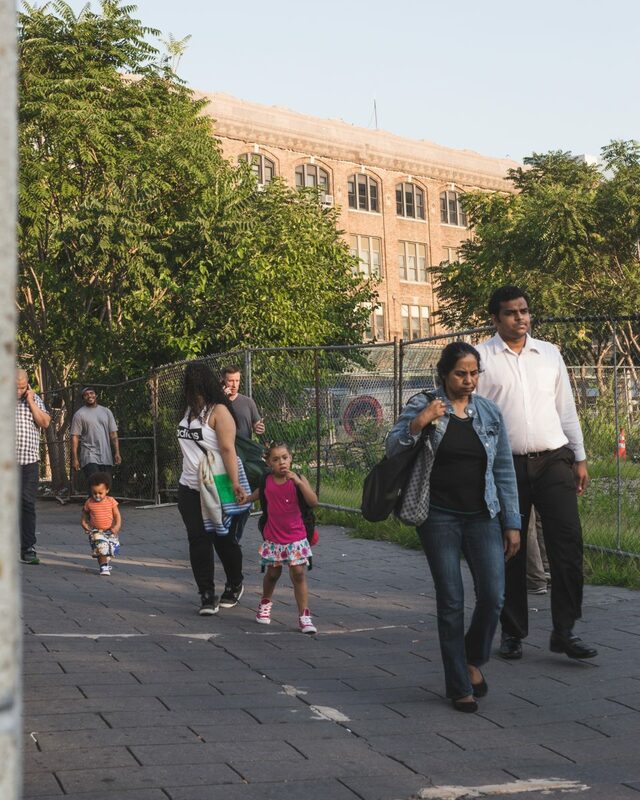 Journal Square is the diverse transit hub of Jersey City smack dab in the middle of an ever-changing skyline. 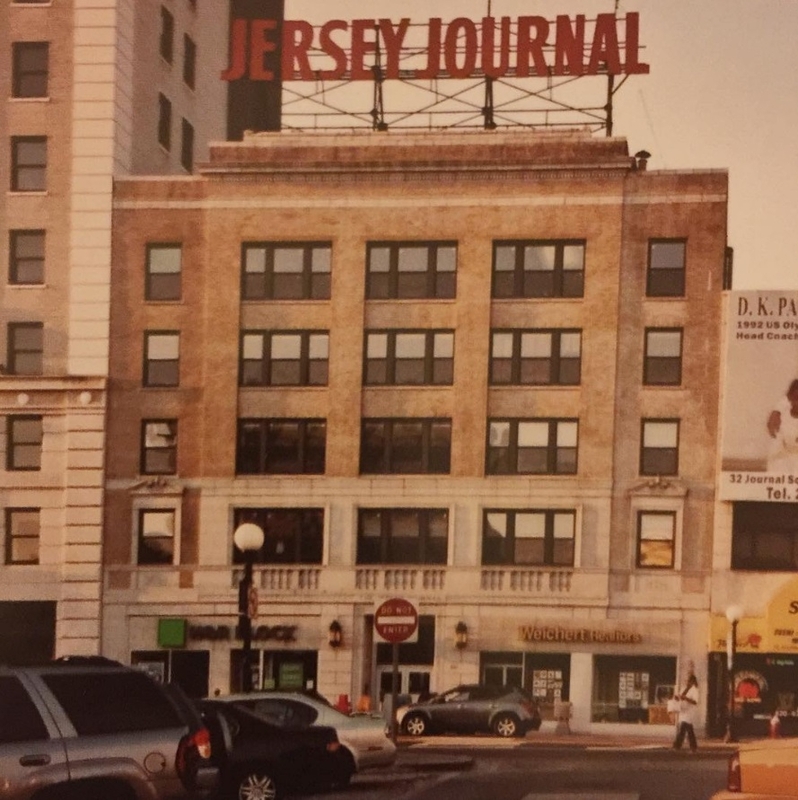 Before the major commercial and business district was titled Journal Square (in 1923 after the Jersey Journal), it was laden with farmhouses and manors from the original Bergen settlers of the 1660s. 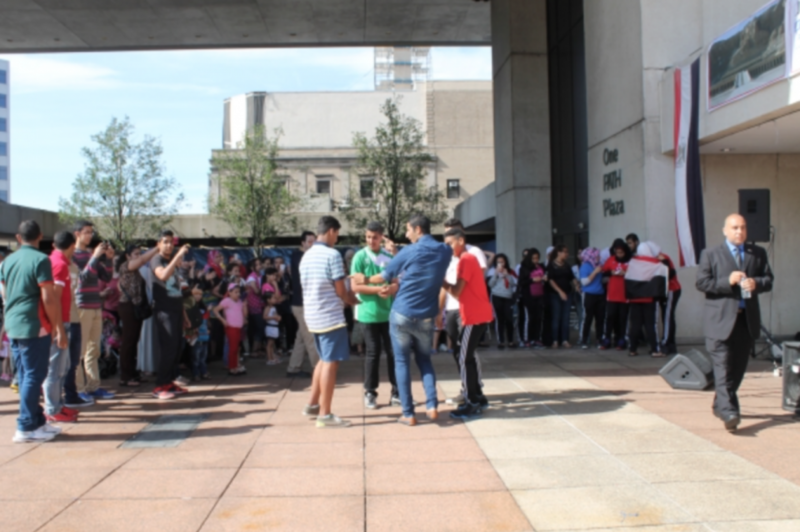 Nearly 100 years later, Journal Square has transformed into what it is today—a flourishing multiethnic neighborhood with a resonant history. 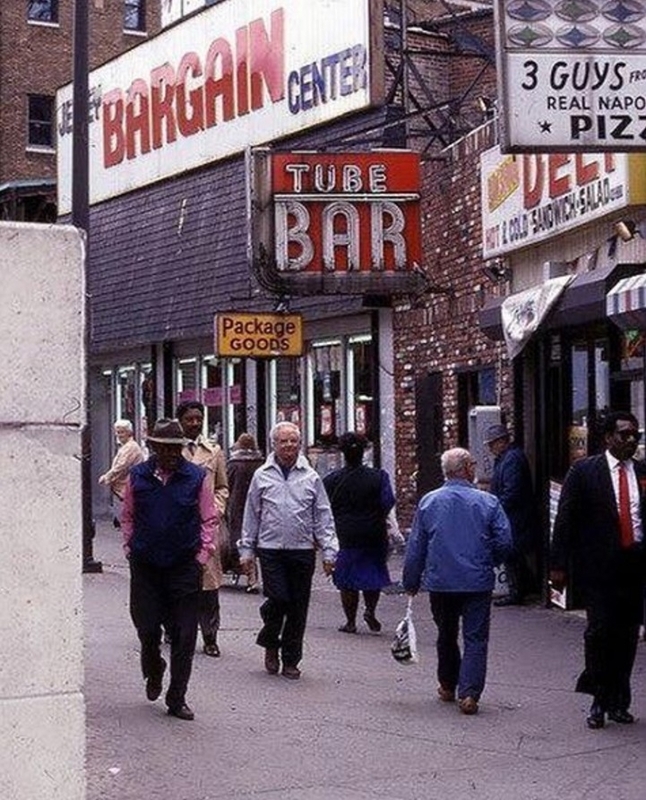 With the accompaniment of images published by @Vintage_JC on Instagram and photos taken by Jushin Gonzalez, we have put together the history of Journal Square, Then and Now in photographs. 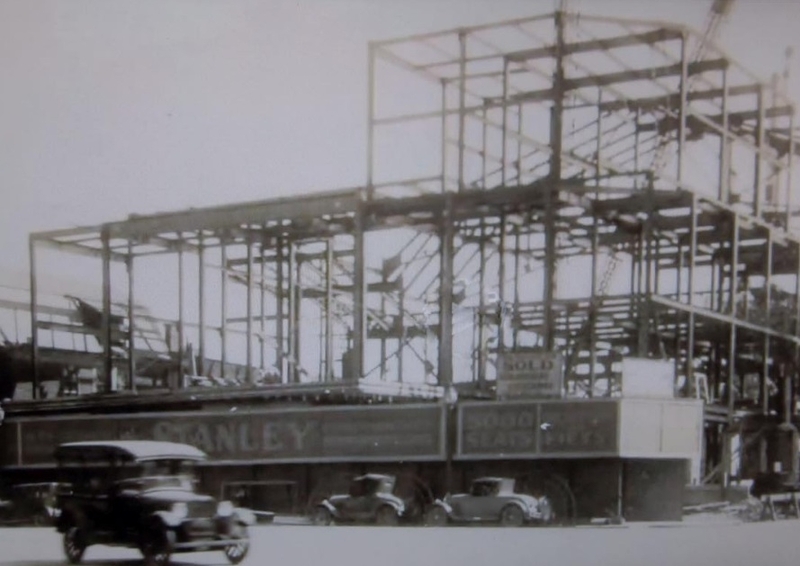 Construction of the Stanley Theater in the early 1920s. The Stanley Theater is the assembly hall of the Jehovah’s Witnesses in Jersey City. The Hotel Plaza was converted to senior housing and continues at its location at Enos Place and Sip Avenue . The Hotel on the Square was demolished. 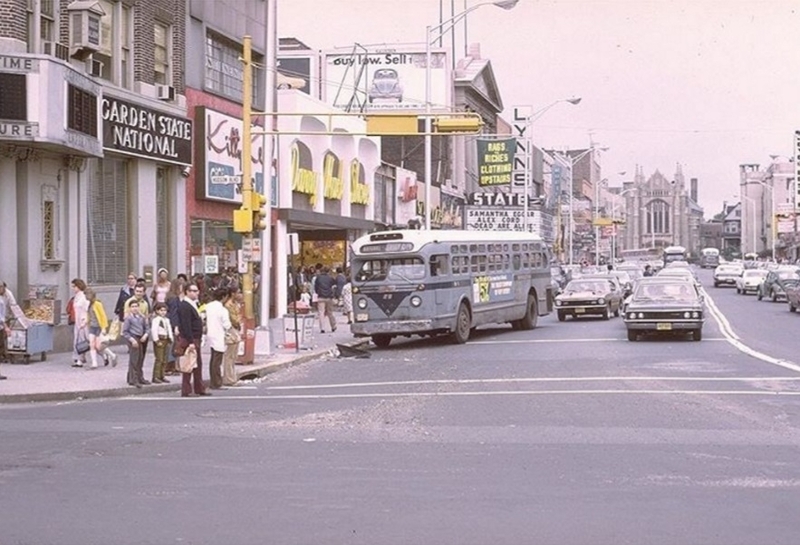 This part of Journal Square revolves around quick movement and an infinite amount of cars. This part of Journal Square is also home to the Journal Square Farmers Market! 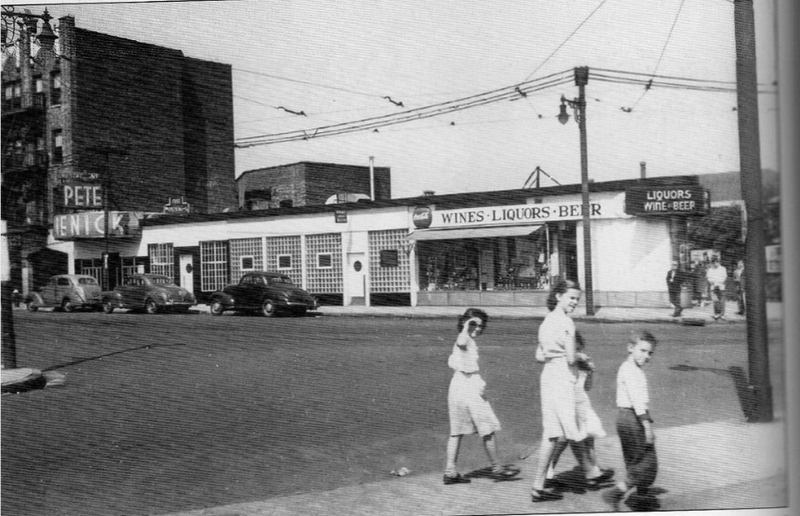 West of Journal Square circa 1950. Daniel G. McNulty. 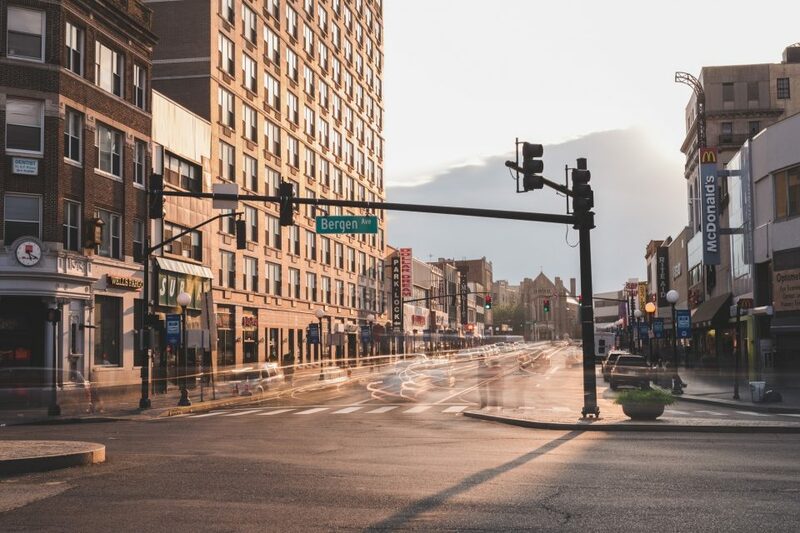 This intersection is easily noticeable to both drivers and pedestrians with Cohen’s Fashion Optical on the round. This area is probably one of the best visually during sunset. The beginning Sip Avenue at the intersection of Summit Avenue. The 1950s, Daniel G. McNulty. Opposite the camera is the location of the Jersey City DMV. This intersection is where commuters, students, and residents alike collide all at once. 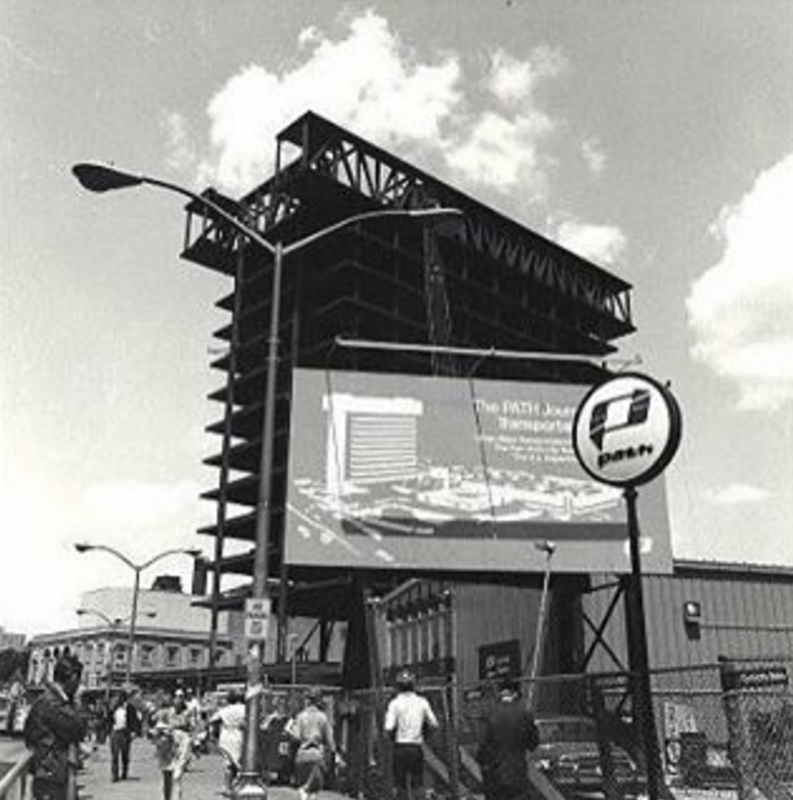 Construction of the PATH Journal Square Train Station circa 1968. 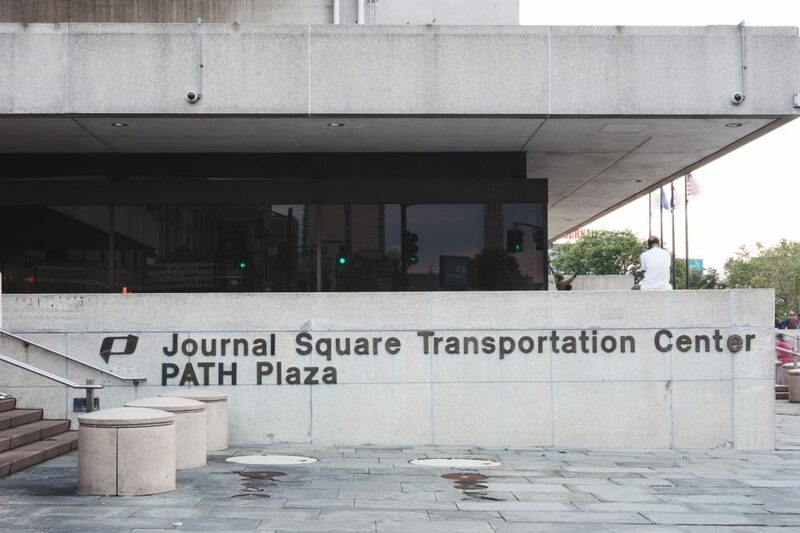 This end of the Journal Square Transportation Center is nearest to India Square and is also home to Journal Square’s newest addition, PJ Ryan’s Squared. 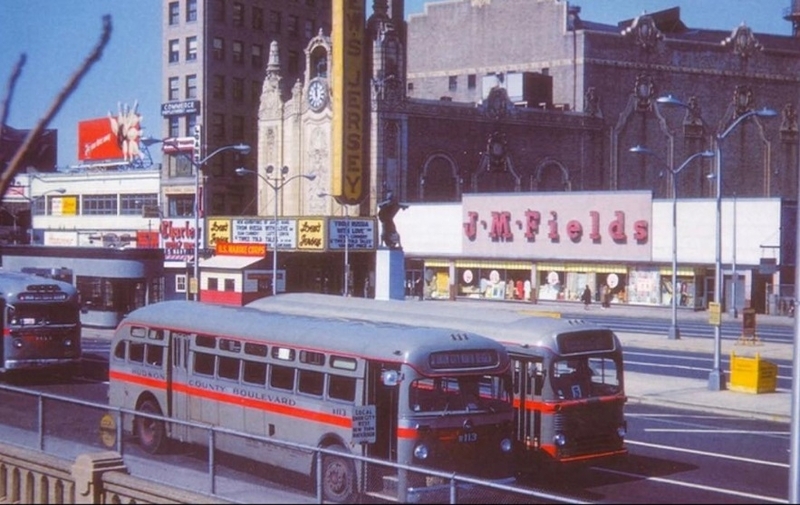 The Landmark Loew’s Theater in the 1960s. 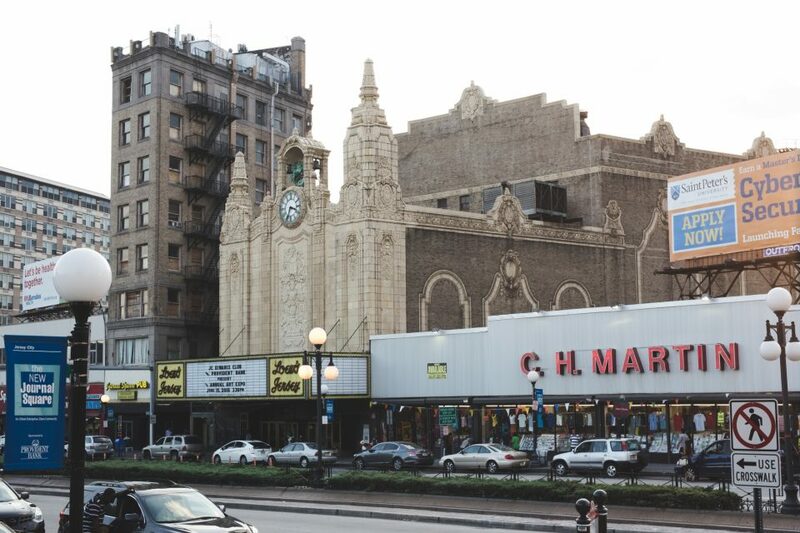 If you’re looking for a part of Journal Square that has hardly changed, the Landmark Loew’s across the from PATH train station is the perfect place for you. 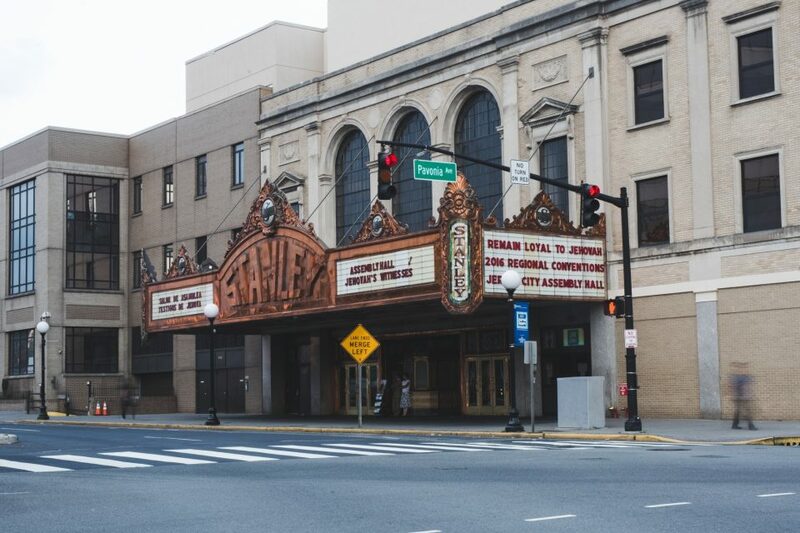 The Loew’s theatre is undergoing restoration, but many still frequent this majestic theater for a variety of events and silent movies! Journal Square Transportation Center alley. This alley is directly to the side of the PATH station, and it looks nothing like it once did. However, one thing does remain the same–the diversity of commuters on their way. Although the Then photo was not submitted with a year, it is clear to see that this view has seldom changed. 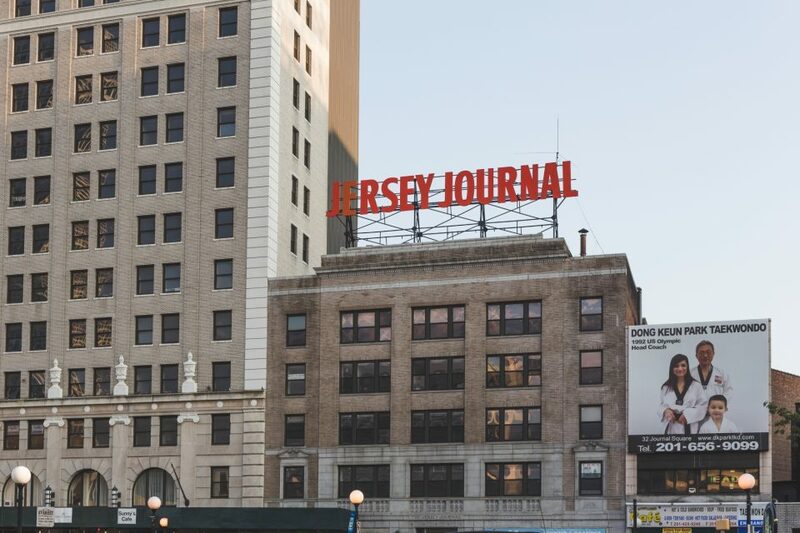 The Jersey Journal now resides in Secaucus, New Jersey, but it’s namesake remains. What did I tell you about that sunset? 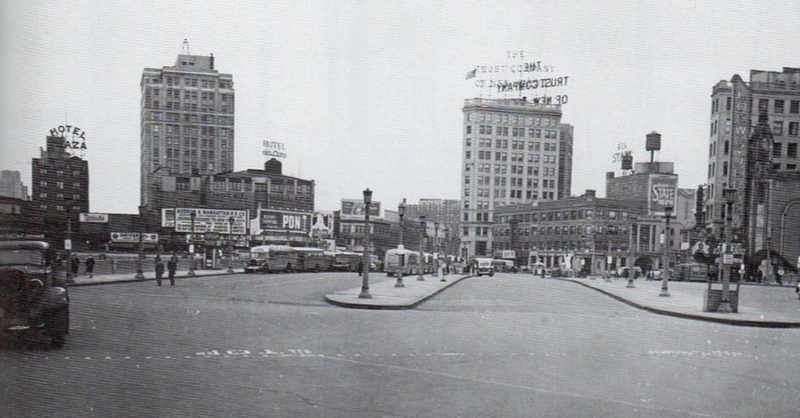 This intersection has one of the taller buildings in the Journal Square cityscape. 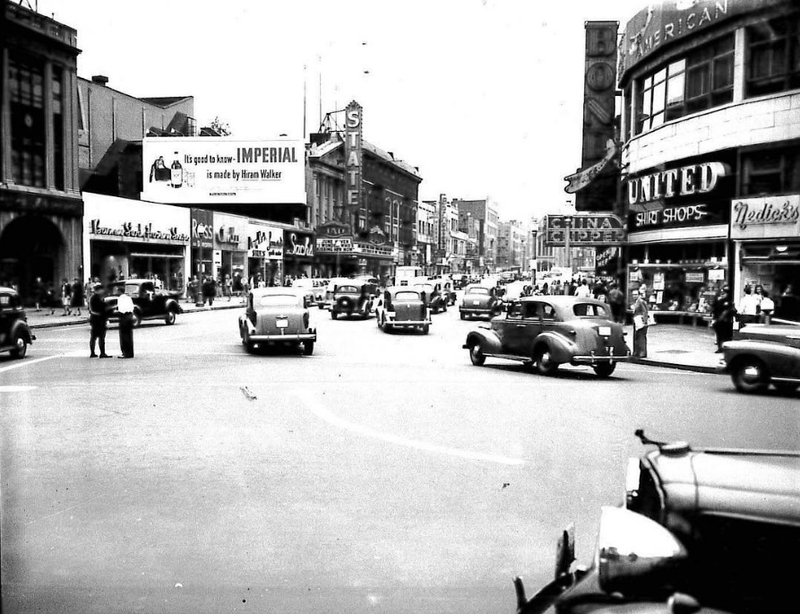 Many of the commercial businesses that are featured in this photo’s counterpart have since then come and gone. 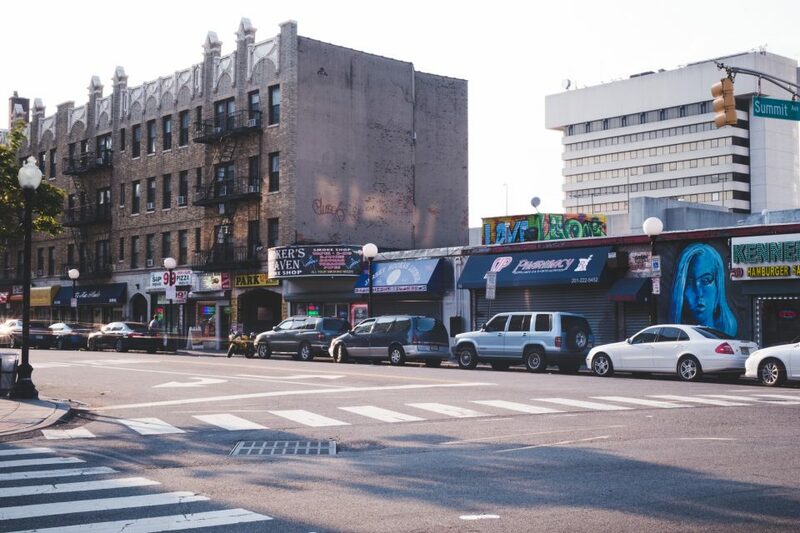 Journal Square has evolved in such a way that it maintained its diverse community and fast-paced streets while growing in business and residences. 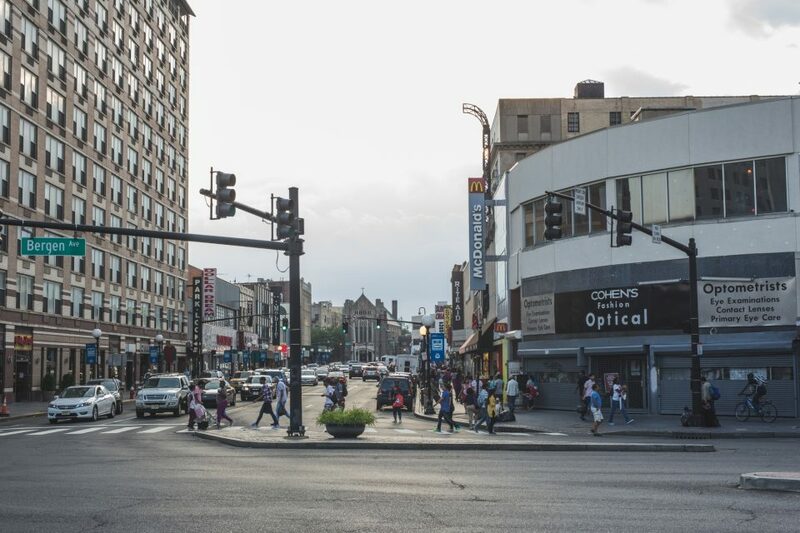 The Journal Square Special Improvement District has worked to preserve the familiar feel of Journal Square while bringing in new developments to benefit the area and add to the ever-changing image of the neighborhood. 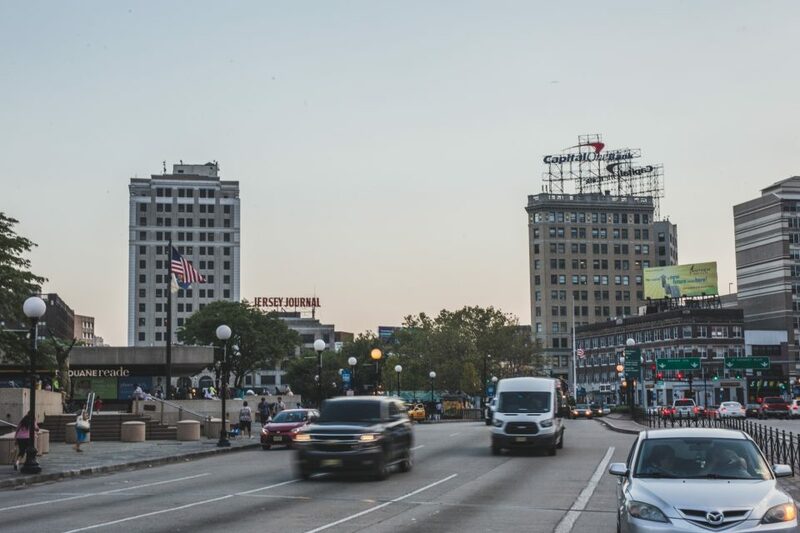 A large part of Journal Square’s history is still evident today and the area remains as charming as it was a century ago, but has changed to acclimate to the growth of Jersey City. The Journal Square SID has been doing an amazing job keeping JSQ clean and safe for all who visit, work or invest in JSQ. 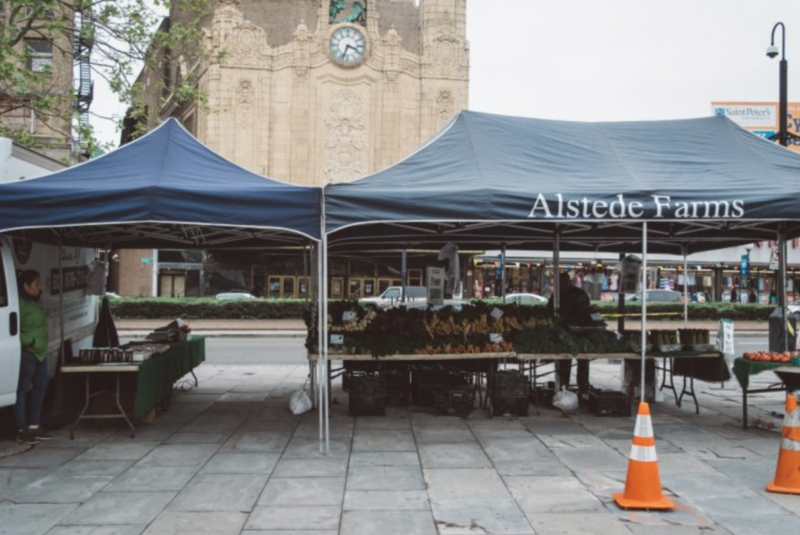 There are Farmer’s Markets twice a week, events happening throughout the year, ribbon cuttings of new businesses and more! It’s really exciting.